July 31st in Wordpress Plugins by Wordpress Jedi . Moodle is an open source content management system for learning platforms. It comes with a wide variety of tools to allow educators better serve their students. 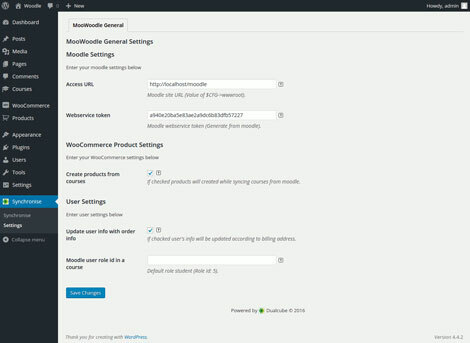 If you already have a Moodle powered site, you can use MooWoodle to connect it to your WooCommerce store. This plugin acts as a bridge between your sites and lets you sell Moodle courses in WordPress. MooWoodle allows you to keep your sites in sync. When someone buys a site from your store, they automatically get registered. Simply enter your access URL and token to get started. 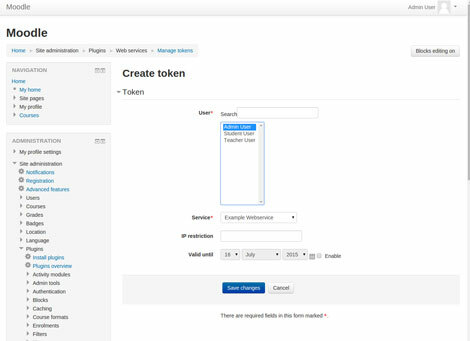 The plugin automatically creates products from courses if you enable that option. MooWoodle by Down Town is available as a free download. You can download it here.